OE Factory Rogue Chrome Wheel. 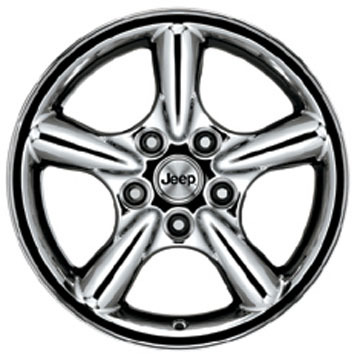 5-spoke, Chrome plated (Sales code WGM). Size 17 x 7.5. Center cap is sold separately. Model Year 2004 - Limited (optional) & Overland (standard). 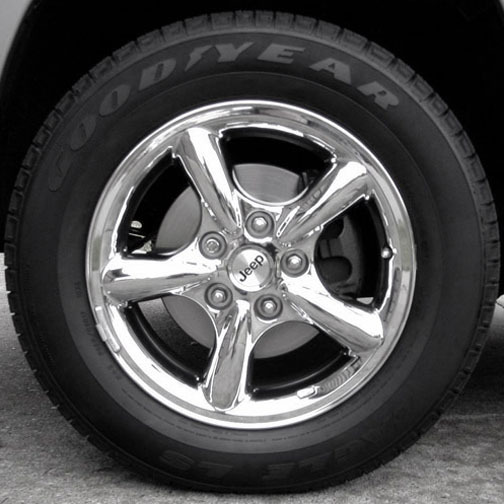 These wheels were optional on just a few models of the 2001-2004 Grand Cherokee and standard on just one, the 2004 Overland -- which makes them pretty rare. They really dress up the rig and complement the other exclusive chrome features on that model. The chrome is easy to care for and all the smooth surfaces clean up well. With age, the chrome playing will start to separate from the base aluminun, so careful handling is required. 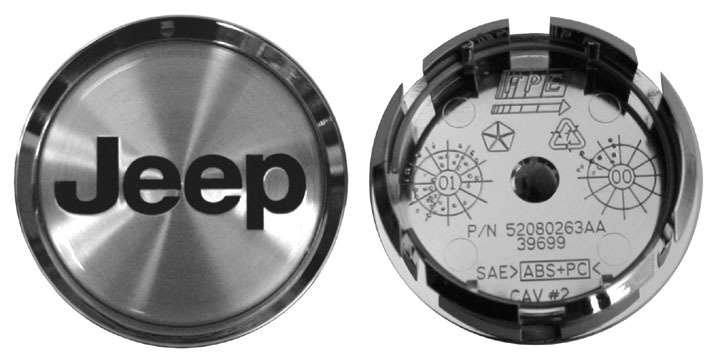 The center caps tend to come loose and get lost, especially while off road. Overall, they were a great feature on the top-of-the-line Overland and will add luster to any Grand Cherokee.